Are you buying these 16 things at Sam's Club? Wondering what to buy at Sam’s Club? These 16 items are our “best buy” items when we shop at Sam’s Club for our family of seven. There is a constant battle between Sam's Club vs. Costco in the online (and maybe real) world. Many people seem very passionate about which company they choose to be a part of and why their club is the better choice. Us? We are Sam's Club members because when we got married MIcah was already a member. At that point there wasn't a Costco in the area so we didn't have a choice. Sometime in the last five years(?) a Costco got built and we've still yet to check it out. Maybe someday. But for now? We love our Sam's membership (hello seven person household!) and we have our staple items that we never, or at least very rarely, buy anywhere else. What are they? Six hearts of romaine for less than $4? Such an incredible deal since the grocery store charges about $3 for three hearts. And these suckers LAST. We can usually make a bag last for two weeks, sometimes a little longer, if we don't wash or cut the leaves until we are ready to use them. And we seem to eat several salads a week so this is an excellent way to eat a little healthier on a budget! We used to buy a huge pack of these at Walmart but recently discovered that the Sam's Club pack is a better deal again! We pay $4.98 for 36 medium sized tortillas (perfect for breakfast burritos and wraps) and $3.58 for 40 fajita sized tortillas (we love these for taquitos). Great buy for either size! They stay soft for a long time as well and since tortillas are one of the foods that I simply won't make from scratch, we will definitely keep these on our buy list. Oh man do we love avocado in our house! The babies eat it chunked up on just about any food and we make lots of guacamole for dipping various foods. At $4.97 for 6 BIG avocados this is an item we can keep on hand quite often! And just like the lettuce if we leave it alone in the fridge they can last quite a while! I stick one or two on the counter the night before I need them and they ripen perfectly. *2018 update* The price of avocados is super crazy these days. Some days we go in and we can get the bag for $5-6 and other weeks it's been nearly $9! I used to buy the big bags of frozen boneless skinless breasts but switched to the tray of fresh ones within the last few months. The price has come down and I can control the price a little since I'm paying a more accurate "per pound" price. Plus if I want to throw together a freezer meal or two before putting them into the freezer I can easily do that when they are fresh! Our other trick to these chicken breasts is to prep them all before putting them in the freezer. We trim them up more to our liking then either freeze them in quart bags as whole breasts, in small chunks, or in strips. It makes cooking go so much easier when the meat is already prepped! Have you ever bought the FULL pork loins from Sam's? They are an incredible deal! We will buy one and cut it into pork chops and roasts ourselves and can usually get 5-6 sections out of it which can be anywhere from 6-12 meals depending on how we use it! I should really put one of these on my shopping list again soon since I'm down to one final roast from the last one we bought. Eggs are a staple breakfast item in this house. We probably eat scrambled eggs four or five times per week and the other days usually include an egg (or several) in the ingredients. Typically we buy the 7.5 dozen box and split it into 18 count boxes we have saved at home but lately the 18 count packs have been slightly cheaper per dozen. It's all about reading the signs. Either way they are almost always cheaper than the grocery store. *2018 update* While we still eat a lot of eggs we've been buying our eggs at Aldi more frequently because their price has been better than Sam's Club. However, on the weeks we can't make it to Aldi because it's in a different part of town we still buy our eggs at Sam's. Cheese is terribly expensive at grocery stores; have you noticed this? They advertise little 8oz bags and blocks "on sale" at 2/$5 or maybe 2/$4. Occasionally the store brand will drop cheaper than that but it's still not that great compared to Sam's. We buy the 2 pound blocks (that's 32oz!) for about $5 depending on the type. The extra sharp cheddar that we prefer is just over $5 but mild cheddar and colby are cheaper. That's about $1.25 per 8oz block! *2018 update* The price for the bricks has gone up about $1/brick but it's still significantly lower than regular grocery prices and we really like the flavor of the extra sharp cheddar! *2018 update* We've switched to the bags of mozzarella cheese because it's a bit cheaper than the 3 cheese blend but still tastes great and melts really well for pizza. Try homemade pizza with my homemade crust recipe and my homemade sauce recipe with your favorite toppings and this shredded cheese for a fun family pizza night! I HATED frozen green beans as a kid. They never tasted good to me and were almost rubbery. These green beans are squeaky but crisp and delicious. I get a little sad whenever we run out and often times I hoard the last bag because I don't want them to be gone. Even the kids really enjoy these which is a huge win! I'm a baker at heart. If I could be baking constantly I probably would. We go through the 25lb of flour every couple weeks because I'm in the kitchen making buns, bars, pancakes, and whatever else I've got a hankering for that day. Plus the weekly pizza night. I've got a big plastic tub next to my mixer to store it in which holds about 3/4 of the bag and the rest stays in the freezer until I need it (a week or so later, haha). The price for little envelopes of yeast, or even the jars of yeast, anywhere else is ASTRONOMICAL compared to the Sam's Club pack. It's two 1lb packs for less than $5. I keep an opened pack in a glass jar in my fridge and the other in my baking cupboard until I need it. They last FOREVER and I've never had any lose it's magical yeasty power. I probably buy two or three packs per year. If this deal ever disappears I might cry. Not everyone needs spices in bulk, and for most spices we don't either, but there a select few that I buy the giant containers for instead of the little tubes. Garlic and onion powder, cinnamon, cayenne pepper, and chili powder are just a few that we buy at Sam's. We've also bought bullion cubes here and never been disappointed. Are you sensing a theme? Pretty much the entire baking aisle is filled with great buys no matter what you need. After buying canister after canister in the small size at regular stores it finally occurred to me to check the price at Sam's and I was blown away! For the amount of pancakes and muffins I make this is nothing but a logical choice. Five kids later and these are definitely our favorite wipes. We've tried just about every other brand out there and these seem to do a significantly better job of cleaning what they are supposed to clean and staying in one piece. Some wipes out there feel like they are going to fall apart in my hands! We don't normally buy chips because Micah is a tortilla chip addict. When we do buy them they disappear pretty quickly so we need to be thrifty. We used to buy a different brand they stock but after comparing prices we decided to give the club brand a try and we are so glad we did! Not only are they cheaper per ounce (score!) but they are cut a little smaller and seem flatter than the other brand. This is essential when using them for homemade crunch wraps or packing them in containers for Micah to bring to work (less chip dust!). I used to use Amazon Subscribe & Save for toilet paper because then it showed up at my door and I didn't need to remember to grab it when we were running low. Hello, I have mommy brain and even with a list it sometimes doesn't make it in the cart. But the deals on Amazon were getting a little harder to come by so I gave the Sam's Club toilet paper a try. It's awesome! Thick and soft and an amazing price. 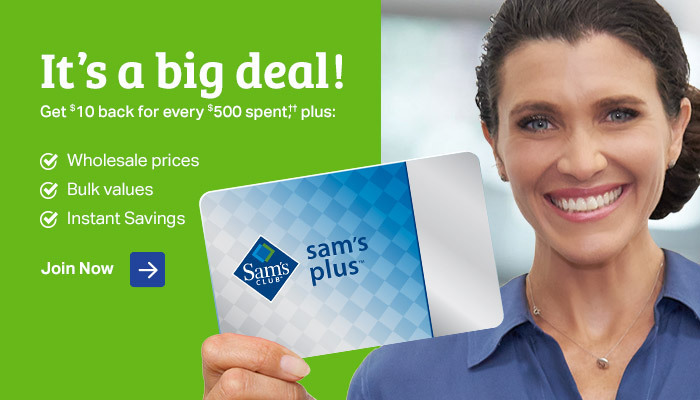 Are you thinking of becoming a Sam's Club Member? Join Now for Just $45 and Get an Offer Worth $45: Dinner and Movie Cafe Family Pizza, $10 Sam's Club Gift Card and $25 Credit with Vudu! Those are my "must buy" items at Sam's but I'd LOVE to hear yours! I'm sure there are things I've never thought to try so I want to hear them. Or have you tried something on my list but don't feel the same? Holler at me in the comments! Did you hear about the new weekly devotional I'm hosting? It starts on April 7th right here on the blog! 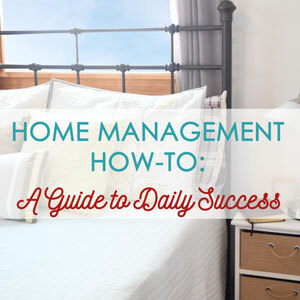 Click here to find out what you need to know to join in. Shhhh... I've got a secret!